What a transformation! Now this wall has become the main focal point of the new design with this hood surround at the center of all attention. Koch Classic Cabinetry in the “Legacy” doorstyle and “Pearl” painted finish with “Umber” Highlight have been paired with Cambria® Quartz counters and a stylish new Stainless Steel appliance package from KitchenAid®. 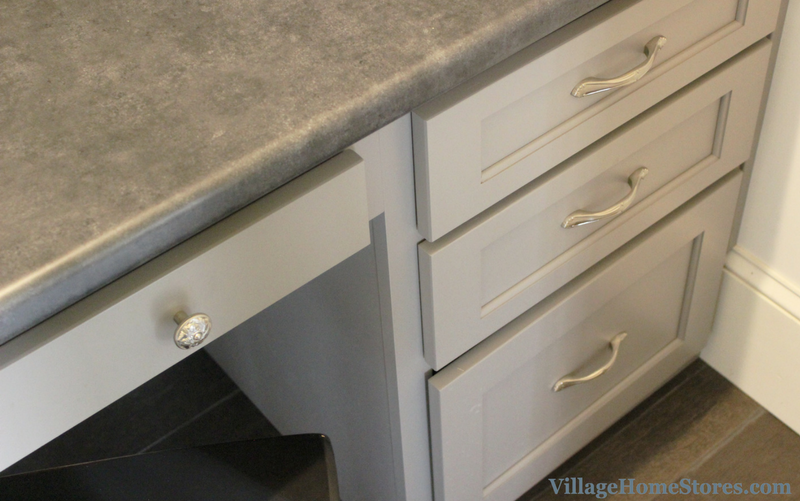 There is so much great storage and style in this kitchen that we HAD to include it in an episode of the Village Home Show just to have the opportunity to show you around in detail. The original kitchen was in desperate need of more drawers for storage. This new layout includes many drawers in the kitchen perimeter as well as the new kitchen island. Press play below to see for yourself. Helping you visualize the full concept of your design is a responsibility we take very seriously. It is why you can’t just walk into our store and leave an hour later with a professional design. We are a Kitchen and Bath Design Center. When you set an appointment with us we want you to be so thrilled with your experience from that very first presentation all the way until the final walk-through. Our process may take longer than other stores but we believe that every project deserves the same care and attention no matter what the size. Building a home or remodeling, neither is a process that should be rushed. The hood concept for this kitchen is not ordinary by any circumstances. 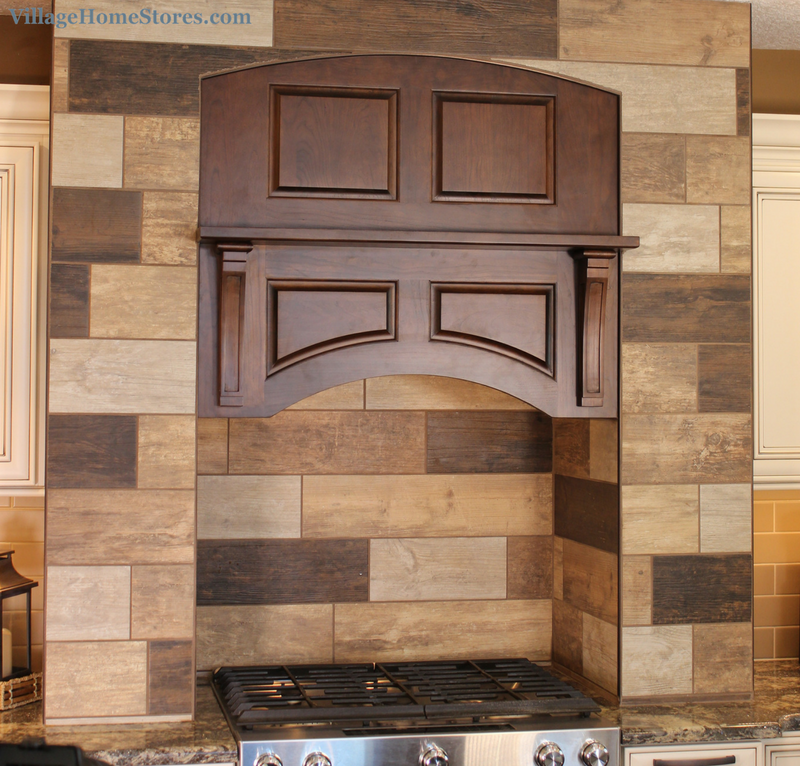 The look was achieved by building an arched surround for the Cherry wood hood and then tiling the surface with four different 6″ x 24″ Ecowood tiles. The end result is breathtaking and unique! Concealed within the Cherry wood hood is a Broan hood blower insert. 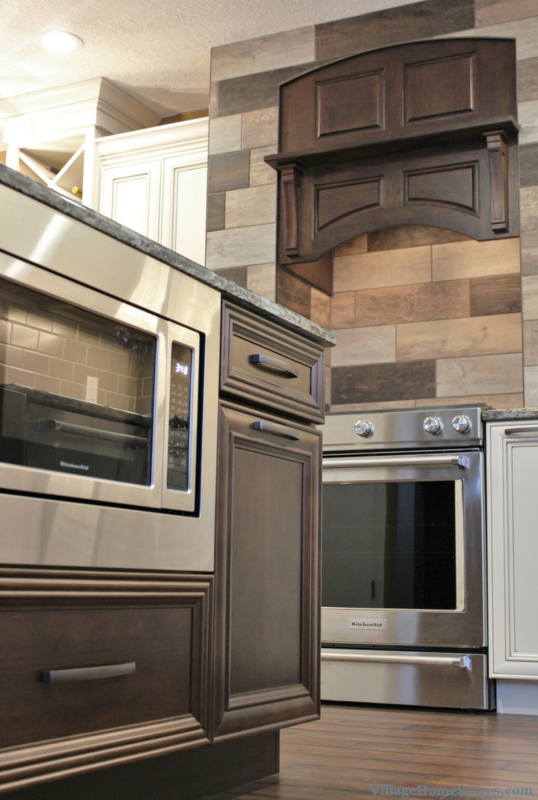 Not to be ignored right below this new hood area is a KitchenAid® slide-in gas range packed full of style and features! 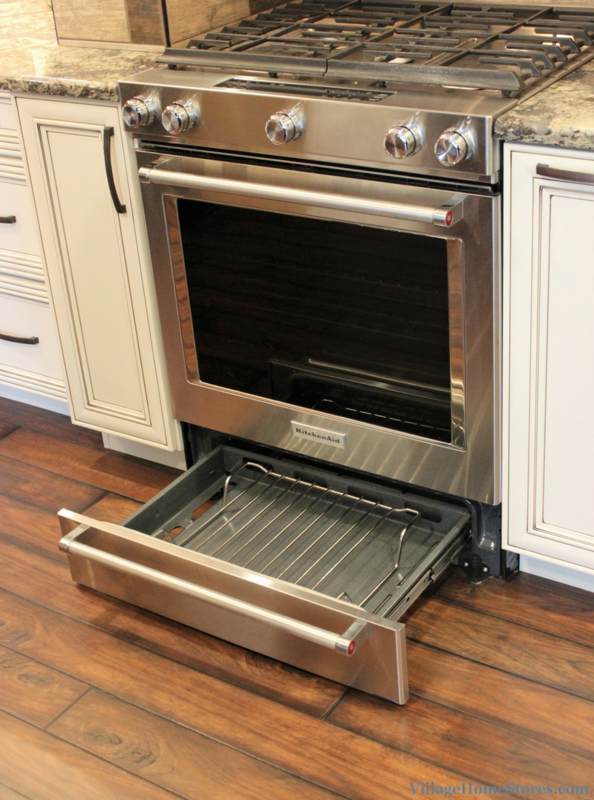 This gas range boasts 5 gas burners on the cooktop ranging from 5,000 to 19,000 BTU’s. Get flawless baking results with convection features in the oven and take advantage of added features like a wireless probe and a steam rack within the oven. Would you believe us if we told you this model is also technically a DOUBLE oven?! 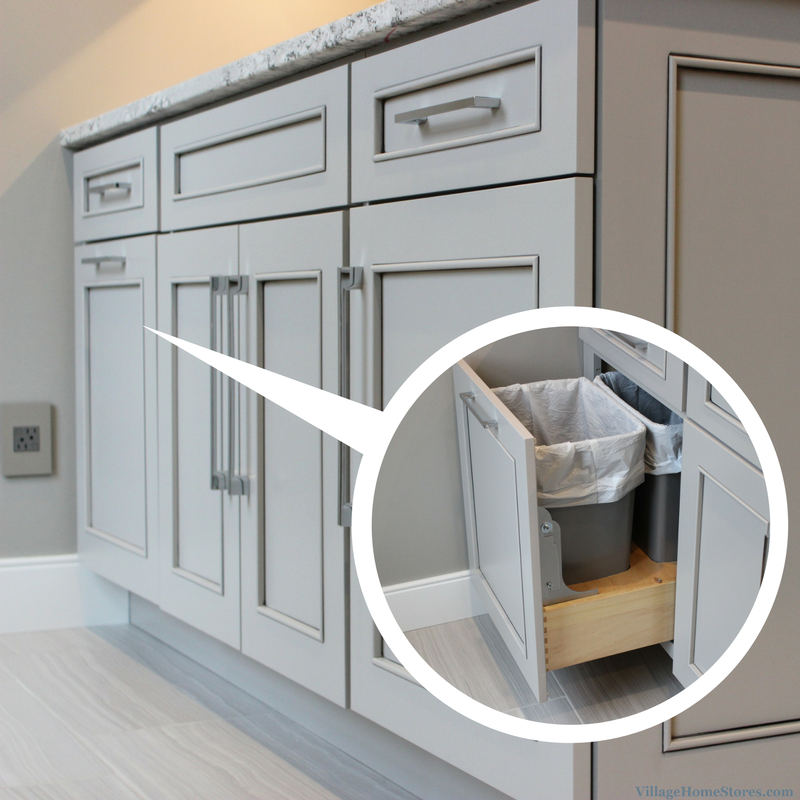 That drawer below is not just for storing bakeware or warming dishes! KitchenAid® has taken the concept of a warming drawer to a whole new level. Introducing the innovative new baking drawer. This separate compartment allows you to keep warm, slow cook or bake at a different temperature from the main oven and keep dishes warm. 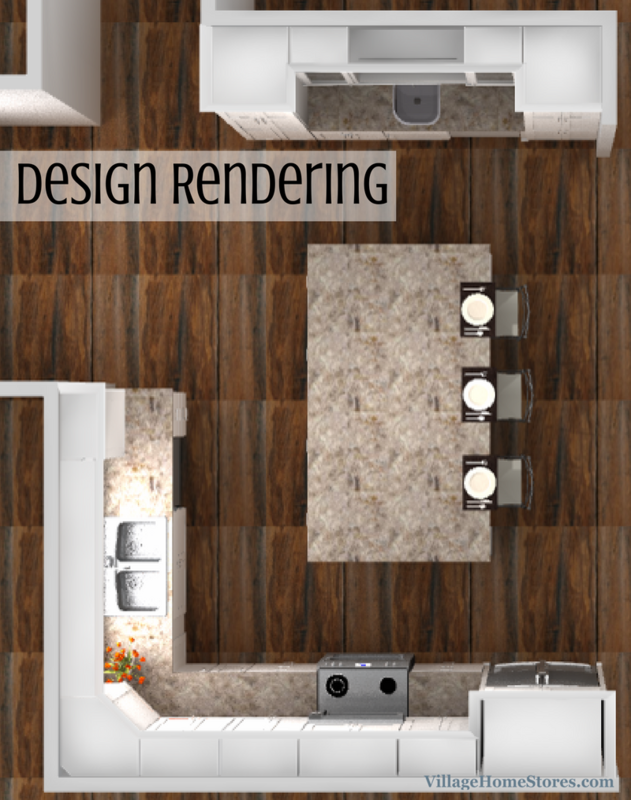 This range sits atop a wood-look luxury vinyl tile from our Mannington® Adura Plank line. The “Ashford Walnut” color might fool you in these photographs but trust us, even in person you will not believe this isn’t hardwood. 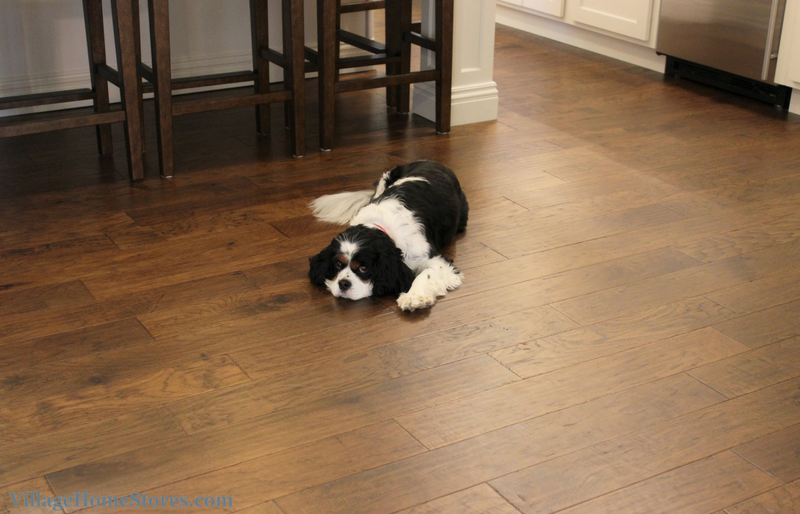 Adura Plank Luxury Vinyl Tiles (also known as LVT’s) are durable, scratch-resistant, waterproof, and easy to clean. The sink wall of the new design has changed dramatically once the doorway to the nearby Living Room was closed off. 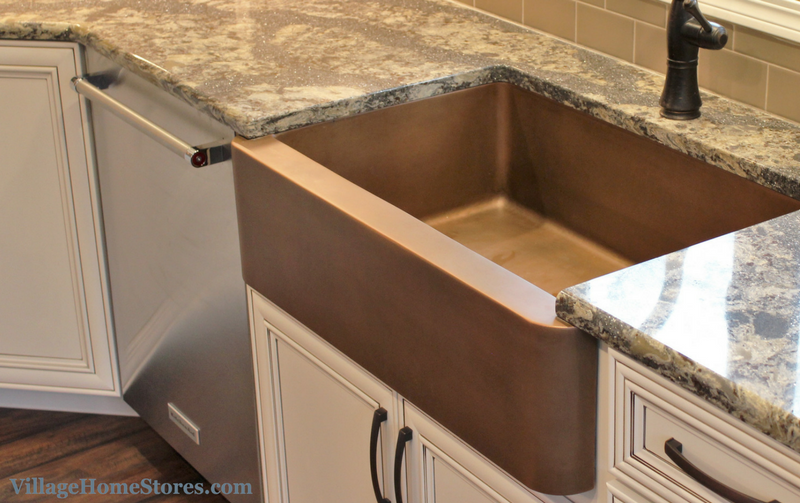 The refrigerator was moved to the opposite end of this sink wall and an undermount copper farmhouse sink is the new eye-catching detail of this section of the new design. An arched valance in the toespace of the sink base cabinet is an added design detail that helps set the look off. This copper sink will begin to age with a beautiful patina and become a character piece in the new kitchen. 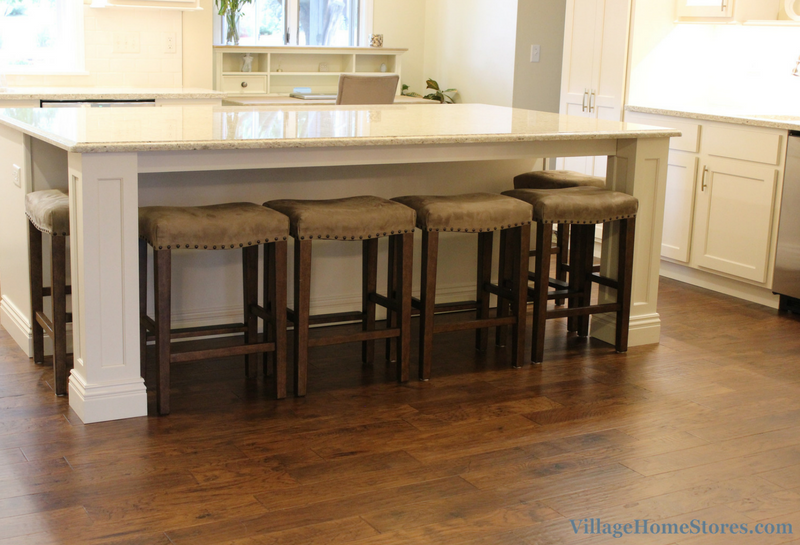 The new kitchen island is a large surface for preparation, and entertaining. 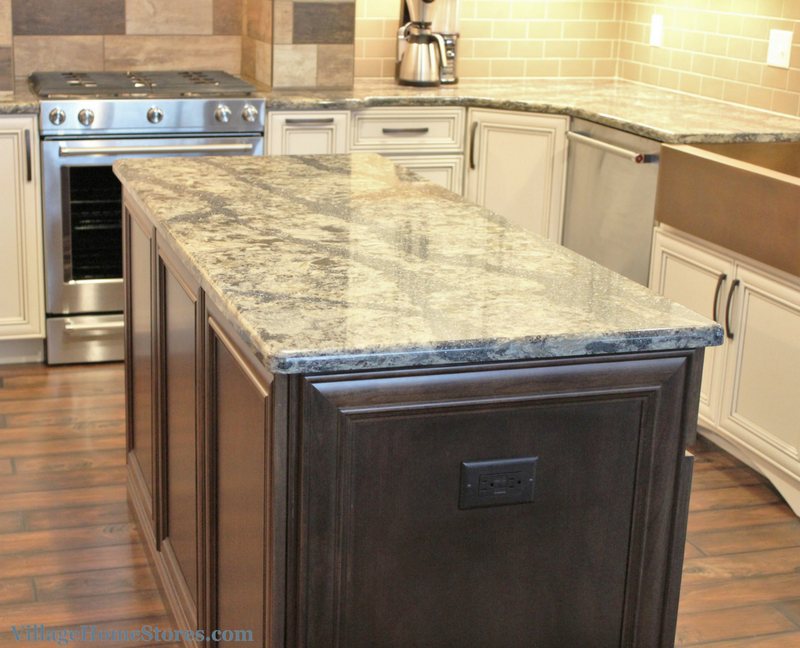 The cooktop used to dominate the old island counter surface but now the island is versatile and stylish. 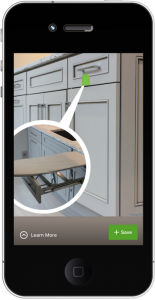 outlets on each end of the island are camouflaged in color to allow access to power when needed but not steal from the finished look of the applied door paneled ends. The doorway into the new kitchen was widened to open up the space. A peninsula was installed at the entrance to provide more storage and counter surface as well as an overhang to accommodate seated guests. This new widened entrance with a peninsula has changed the overall layout and function for the kitchen. Above the peninsula overhand hand two decorative pendant lights by Kichler. This couple chose to install the “outdoor” pendant style of this light because they included this beautiful seeded glass. We think the lights are perfect! Shown behind the lighting in the image above are two X-shaped wine cubbies. Plenty of wine storage is easily accessible from either side of the peninsula when entertaining. When guests enter the new kitchen design they get the illusion that instead of a peninsula and an island, this kitchen has two islands. 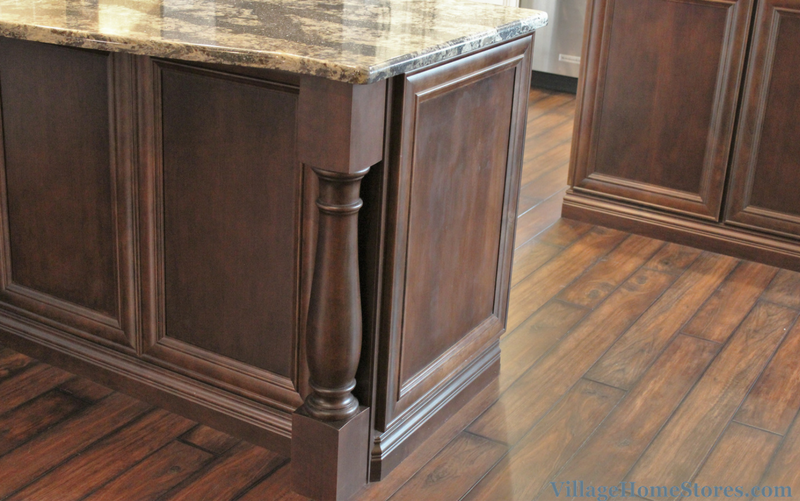 This look is achieved by having the complete island in a Cherry “Mocha” stain plus the back and end of the kitchen peninsula has been installed in that same “Mocha” finish. The Cherry “Mocha” stain from the island and peninsula is repeated in the wood hood area. Two-tone look kitchen designs have come a long way in the past few years. You are not just limited to contrasting crown or an island. Ask you designer what creative ways you could include a second finish in your own design. The cooking center of this new kitchen is stylish and extremely functional. Not only are there incredible features on this new KitchenAid® gas range, the storage and surfaces surrounding it grant the user the best experience possible. Everything is right within reach including a tray divider cabinet and pullout spice rack. There is available countertop surface on each side of the hood surround and access to that incredible new Island top directly behind the user. See the full album of over 40 images from this kitchen remodel here on our award-winning Houzz.com page. 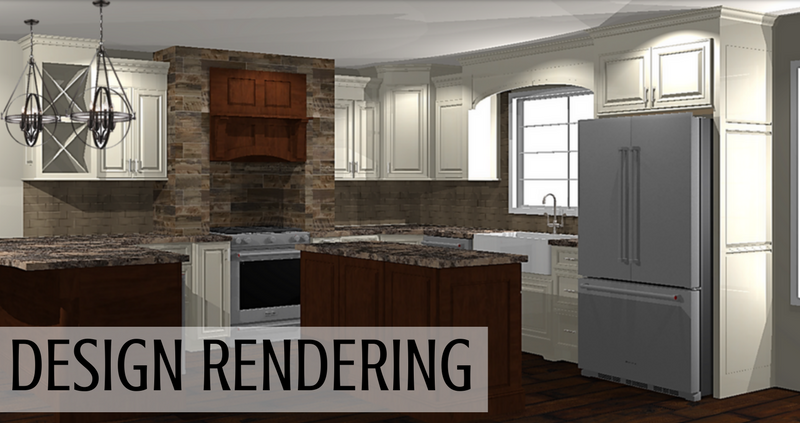 Are you ready to see an expertly-prepared kitchen design for your own home? 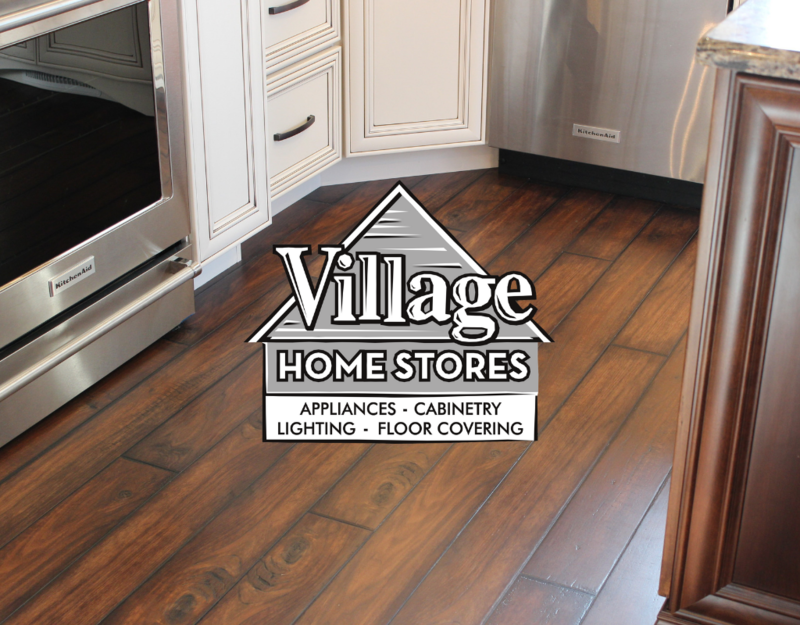 Contact the award-winning team at Village Home Stores to get the conversation started. Reach out for an appointment by calling (309) 944-1344 or completing this short online form. We can’t wait to hear what you are working on! 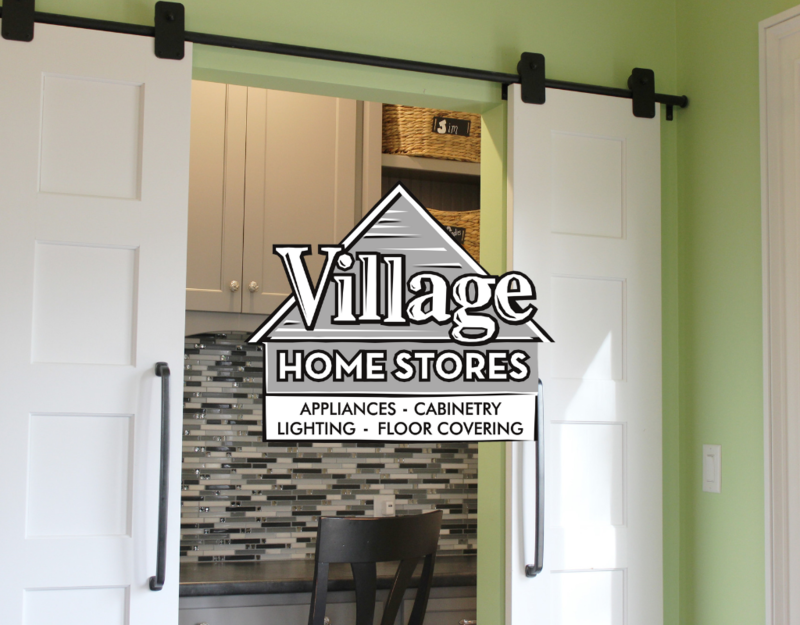 Using sliding barn door hardware on the interior of the home has continued to grow in popularity. Many times you may picture re-purposing an old barnwood door or something rustic with this concept when you hear the term mentioned. 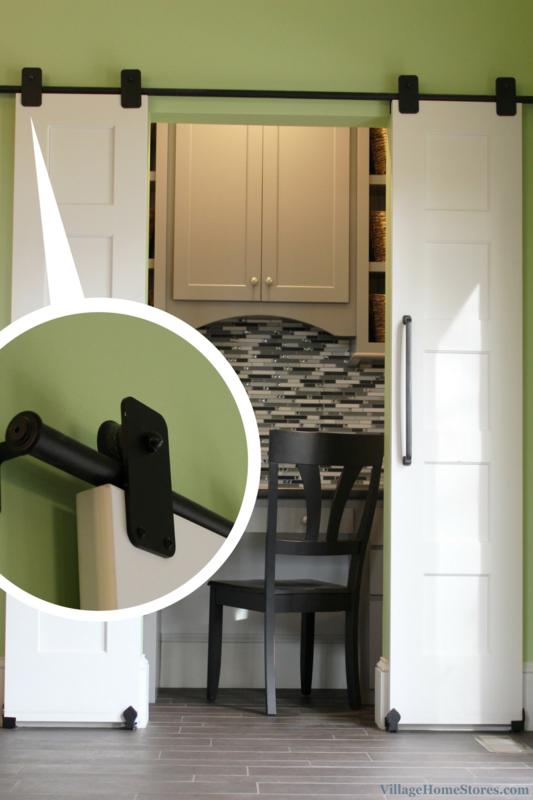 Sometimes the concept of the barn door hardware itself is a fantastic solution for a space. In the case of this pocket home office, the look is perfect! There is nothing “rustic” or “barnwood” about this finished look. Instead, the hardware itself makes the statement! We understand the appeal of being able to “hide” your home office piles behind doors but with a space as stylish as this, we say leave them open as much as possible! Press play on the video below to see the barn doors open and close. The base cabinetry offers up a stack of drawers on each side and a knee drawer across the center. A laminate countertop spans wall to wall and has been installed without a coved backplash attached. This leave the entire wall surface available for the shimmering and show-stopping Glazzio mosaic tile. A blend of grays, blacks, and white tiles pair with faceted mirror mosaic tiles. 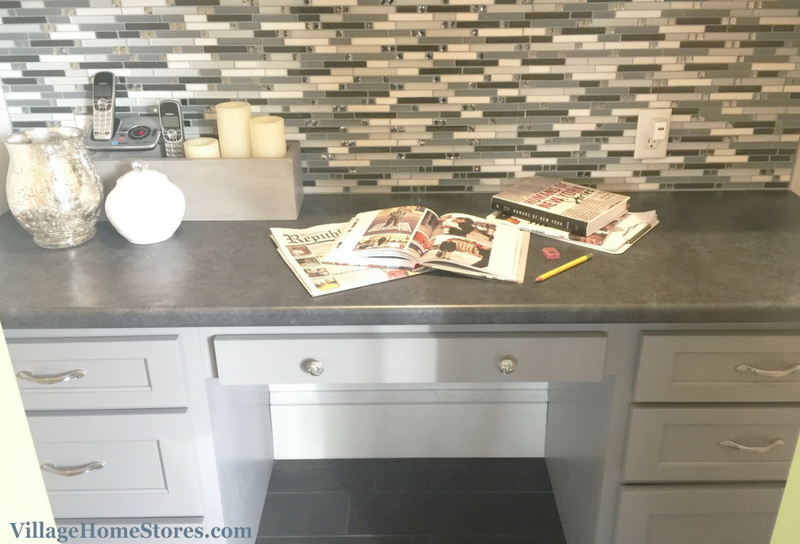 Even the most difficult homework assignment or bill paying that may have to happen here will seem glamorous when the backdrop is this tile! 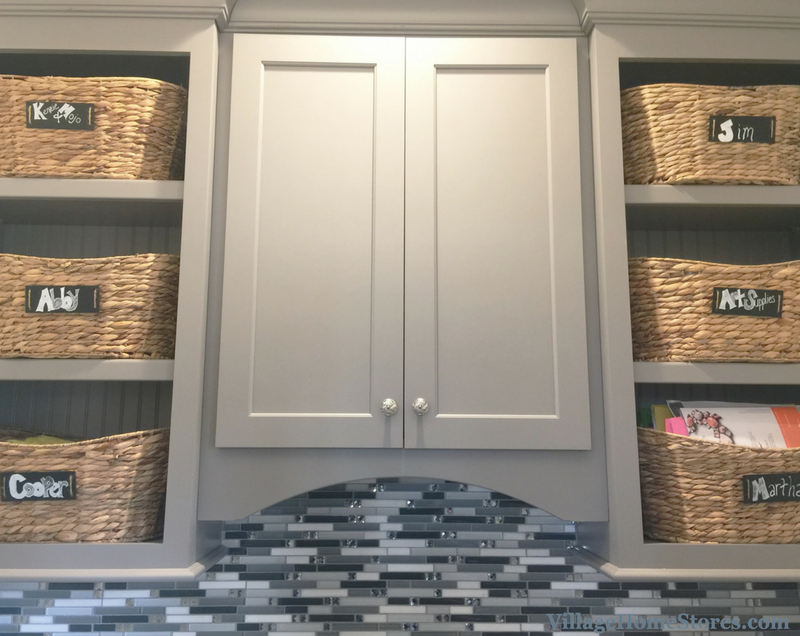 Above the work surface is a center cabinet with doors and two open shelf cabinets that are home to storage baskets. A basket for each family member helps to keep messes and tasks organized. 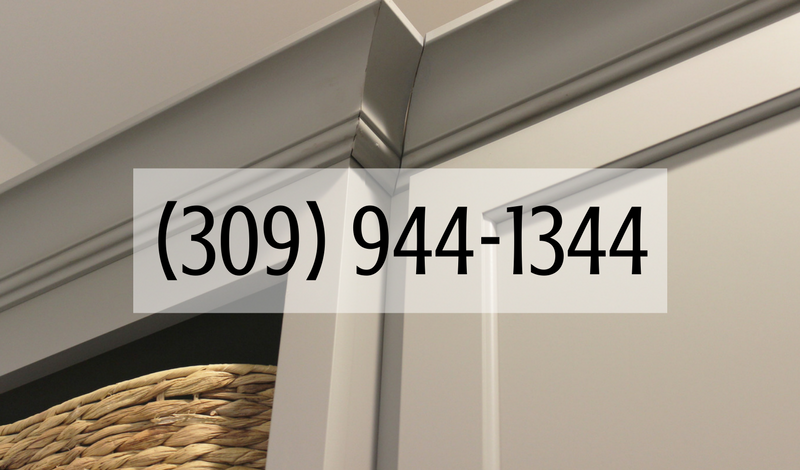 Crown molding on top and light rail molding on the bottom of this cabinet section completes the look. Small spaces like this home office are the perfect place to get creative and playful with your material choices. That mirrored mosaic tile may be too much for filling an entire kitchen but in this dose, it is perfect. Cabinet hardware is another way you can be creative. The decorative knobs for the doors add a great detail to the small space. Sliding barn door hardware can be used in many applications. In our industry we commonly see it used to conceal pantries, wine rooms, or closets. This home office happens to be located within a large open kitchen. 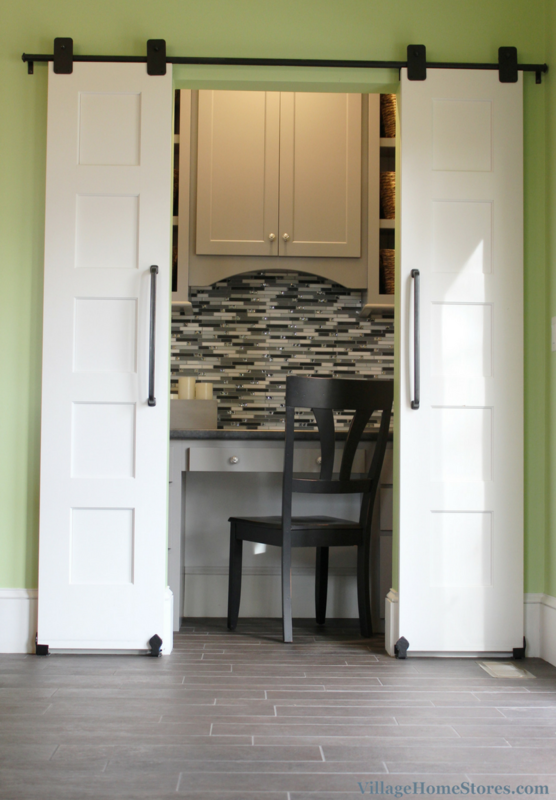 The finished look of these doors and the cabinetry within is so great and looks right at home in the kitchen space. See the full album of photos from this home office project here over on our award-winning Houzz page. If you have a small alcove space or closet that you would like to convert to a home office like this, just reach out for an appointment and we can start the conversation. 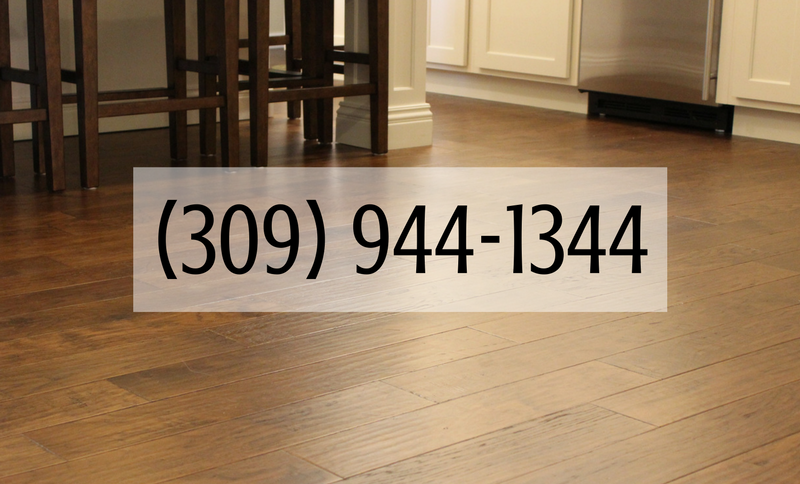 You can call us at (309) 944-1344 or complete this short online form and someone will reach out to you as soon as possible to chat about your project. The new kitchen stretches into the original formal Dining Room area and this bright and stylish new space has been completely transformed. 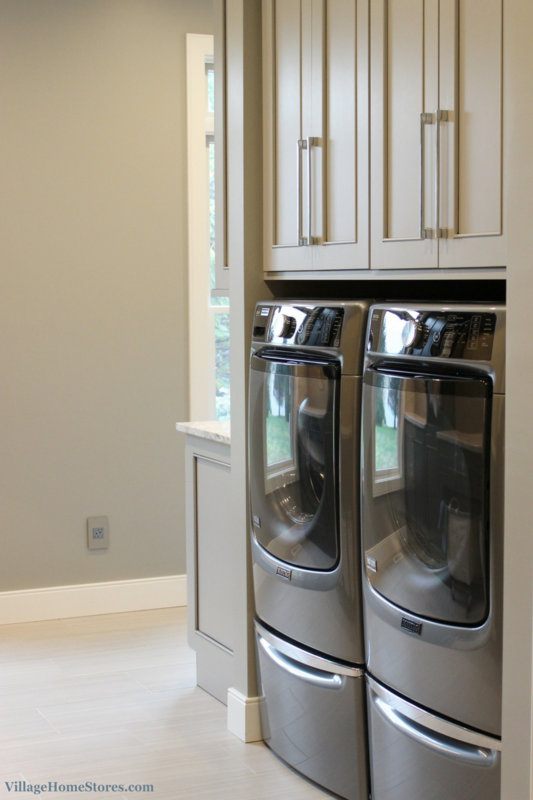 “Pearl” painted cabinetry from our Koch Express line is installed in the “Camden” doorstyle. This has been paired with “Chakra Beige” engineered quartz counters and warm brushed gold accents in hardware and lighting selections. Gold has shown a tremendous trending push this past year and is forecasted to stay on trend for quite some time. The look is stunning. We love the look of these two large pendant light fixtures above the kitchen island. Take a look at the same light fixture in a Master Bath we worked on in Moline, IL. 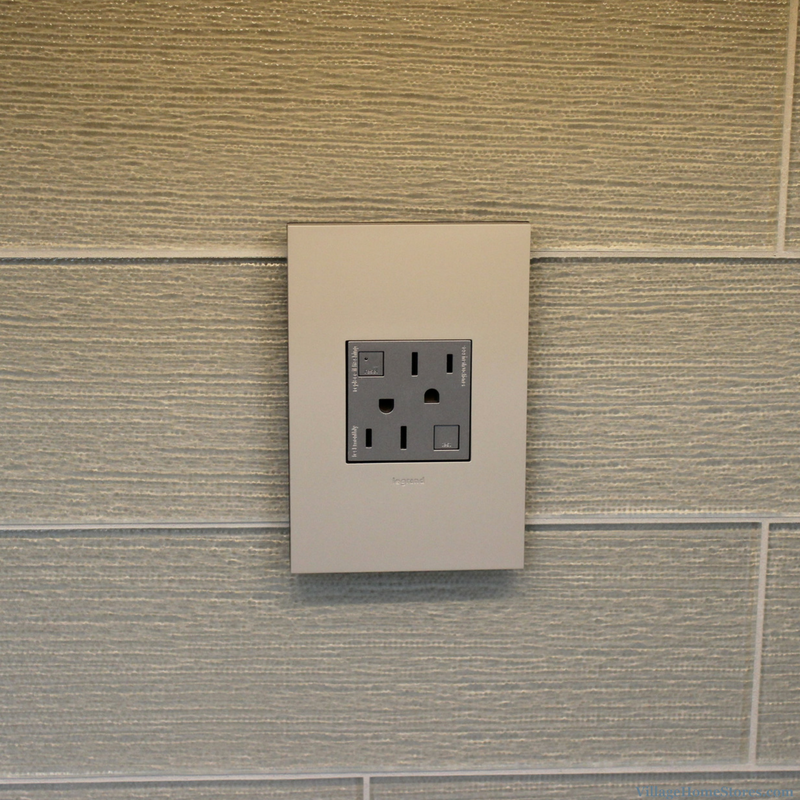 “Biscuit” subway tile from the Rittenhouse Square series is installed throughout as the backsplash for this project. A classic look. With the space now opened up, there is plenty of room for an island. Anyone who has visited or had a kitchen that includes a center island in the design will tell you that there is something almost magnetic about that island. No matter what the size or age of the crowd, they all are drawn to lean, sit, or work at the island. 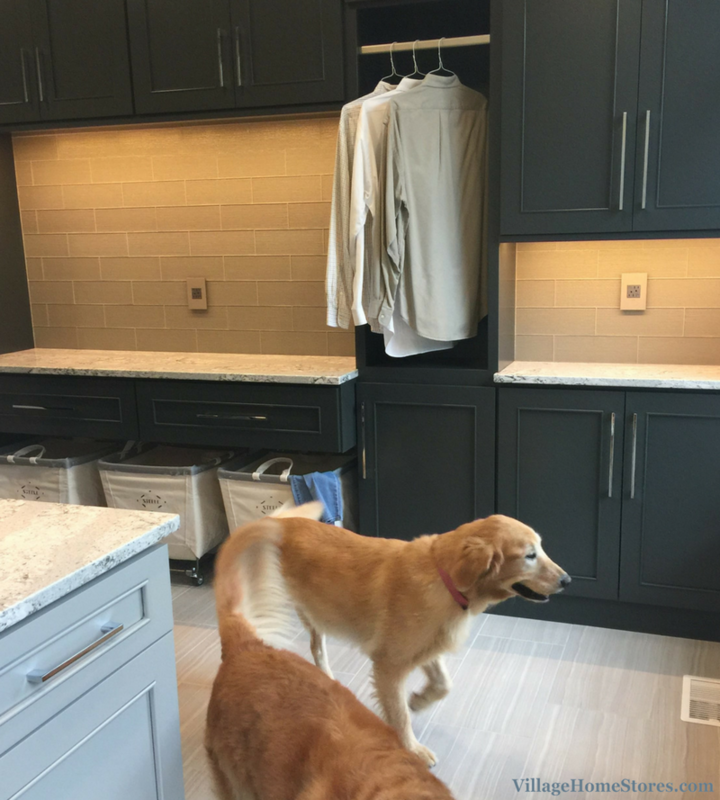 This new kitchen design in Davenport, IA embraces and enhances that idea. Take a look at the birdseye view of the new layout: The island is over 8′ long and 5′ deep. Not only is the island easily accessible from all areas of the layout, it is a large enough size to accommodate even the largest of crowds and let the homeowners navigate with plenty of space in the work zones of the kitchen. Including a center island in your design that isn’t home to the sink or cooktop helps to designate a space for guests to be while you are working in the kitchen. By keeping the island top clear of a sink or cooktop, this counter space now becomes the most versatile work surface in the entire home. This large of an island makes a statement in size so another detail was added to dress up the look. 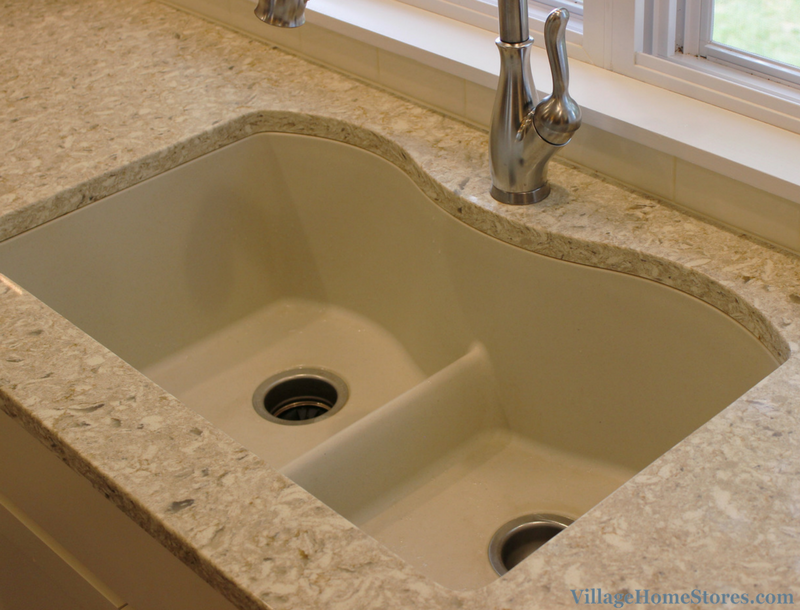 Two edge profiles were used on the quartz tops. 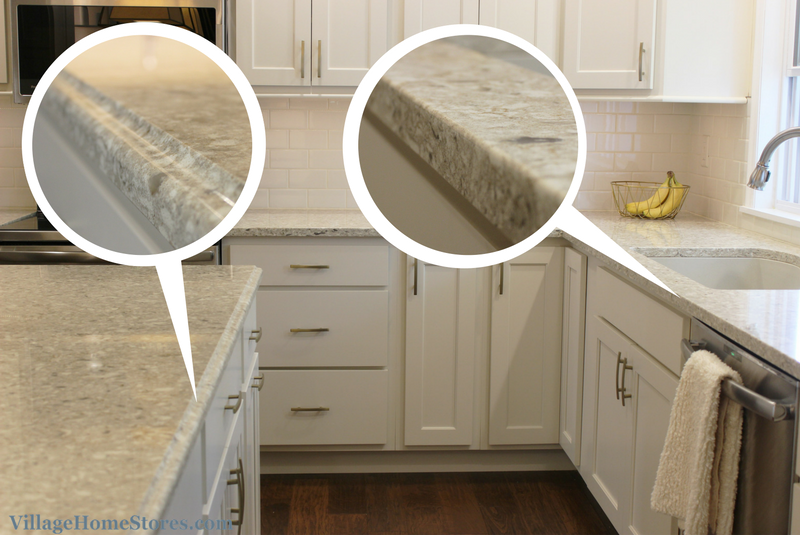 A decorative “Ogee” edge (shown above on left) profile wraps the quartz island top and a standard “Eased” edge (right) profile is used on the perimeter of the kitchen. The main kitchen sink is an E-granite composite sink made by Elkay. 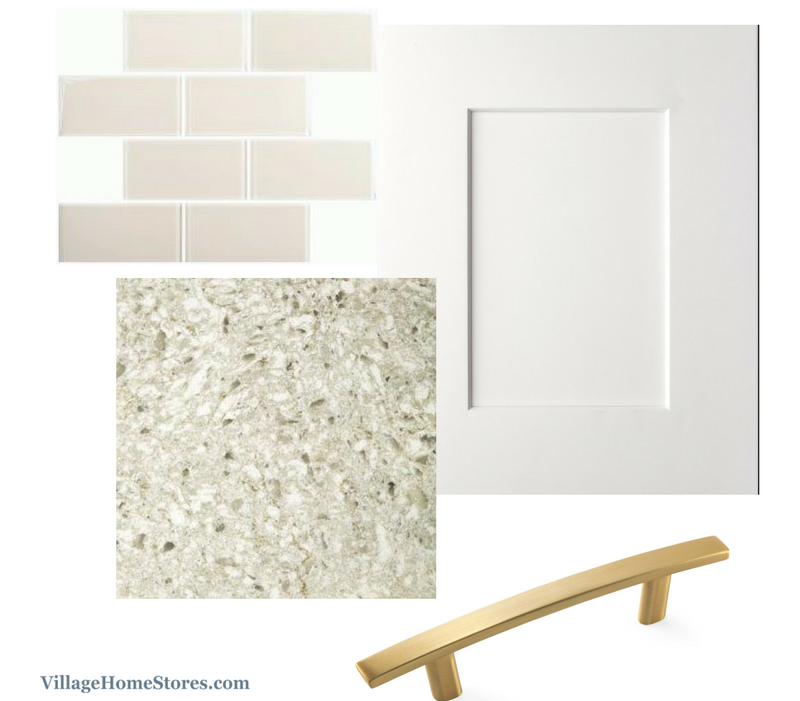 The “Biscuit” color selected is the perfect compliment to the quartz color. 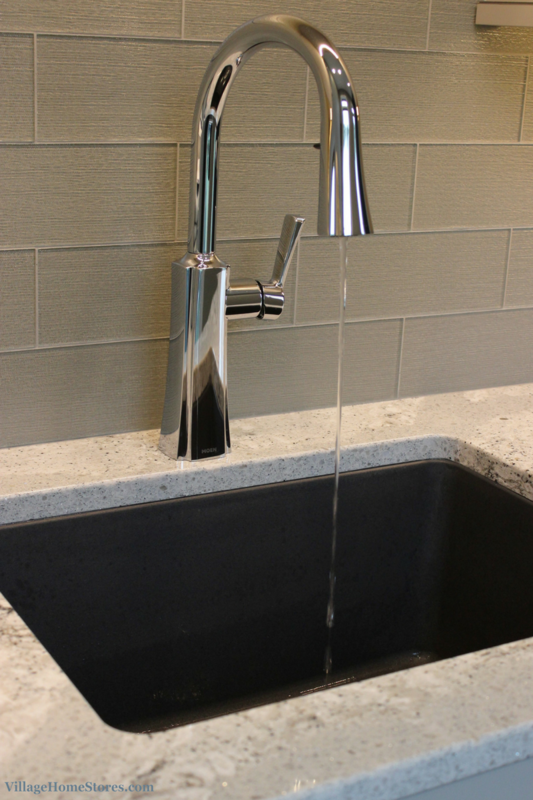 A soft, “eyebrow” arch at the top of this sink style leaves the perfect location for a single-drill faucet fixture. Notice the center divider of the sink is shorter than expected? This low-divider layout allows you the option of a shallow sink fill when needed, but the space to fit and wash large pots and pans as well. A second sink is located in the wet bar area where the original kitchen once sat. Lighted glass-front cabinets surround a custom area for a flat screen TV. All of this is book-ended by two large pantry cabinets. 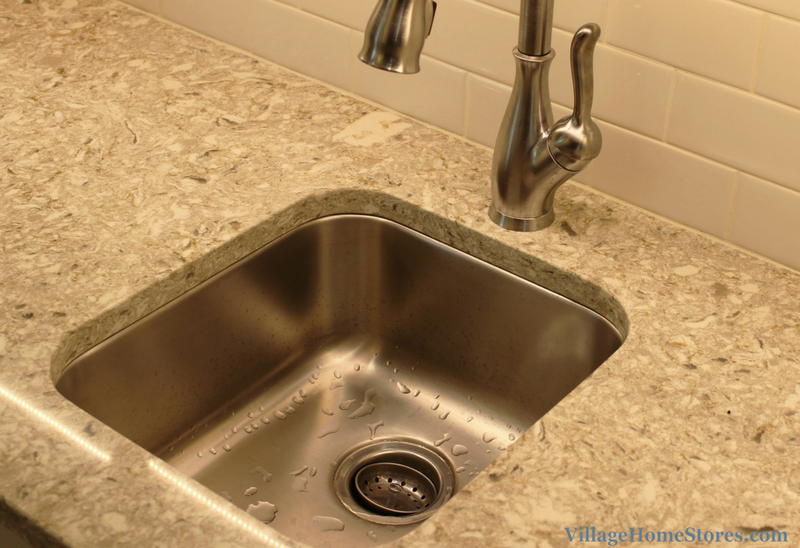 Having a second sink can be a fantastic feature when you have an open-concept kitchen. Access from 4 different entrances to this kitchen means that this small bar sink may be used for any number of tasks. 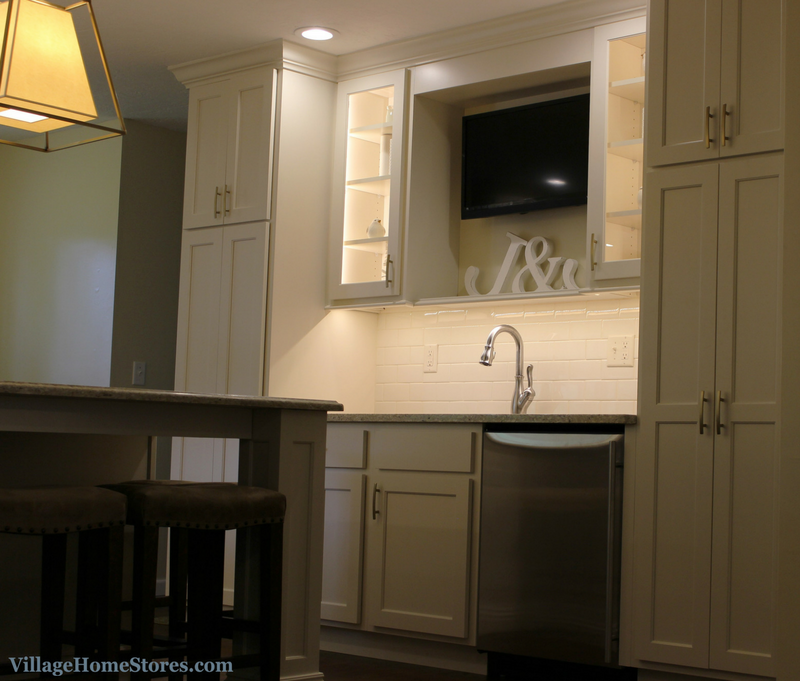 It is easy to picture this wet bar area stocked up for the Holidays as a beverage station. Having this detached from the main kitchen work areas allows the main kitchen users to continue to have their own space and sink to work at. Nobody will be in the way to grab a drink and congregate at the island. This kitchen island is deep enough that even if it were used to serve from, the back of it still allows space for seated guests. There is so much storage in the new kitchen. 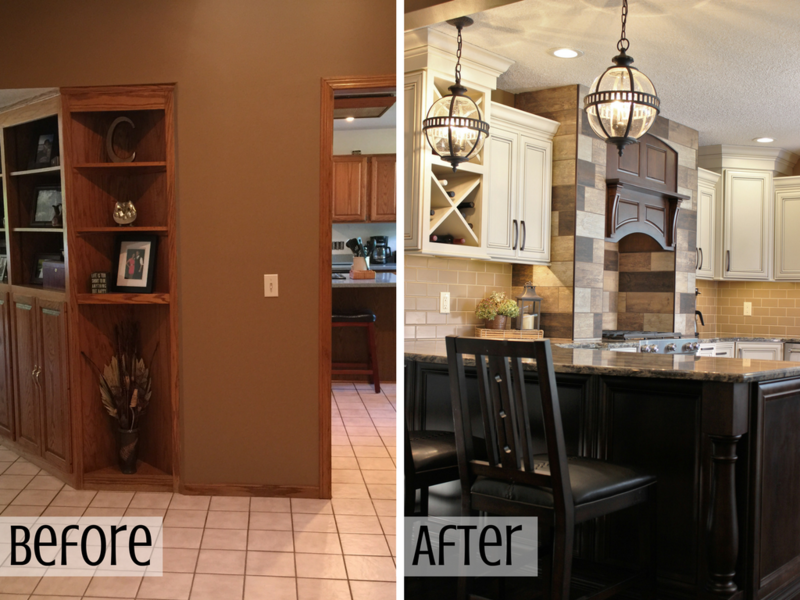 Wall cabinets stretch to the ceiling and crown molding completes the look. With the new open concept to the home layout, a consistent flooring was needed to blend all of the new spaces together seamlessly. The original formal Dining Room has been absorbed into the new kitchen space. The formal Living Room is now the Dining Room and all of these areas now have a gorgeous Hickory hardwood from our LW Mountain line. The “Durango” stained hardwood is modeled here by “Mr. Darcy” who has claimed this spot behind the island for his own post-Thanksgiving meal nap. That still leaves a lot of seats for guests around this huge island. 4 bar stools fit under the back of the island overhang and two more on the ends of the deep top. This added seating for 6 is well within sight and earshot from the new formal Dining Room. There is now a large area ready for Holiday entertaining. 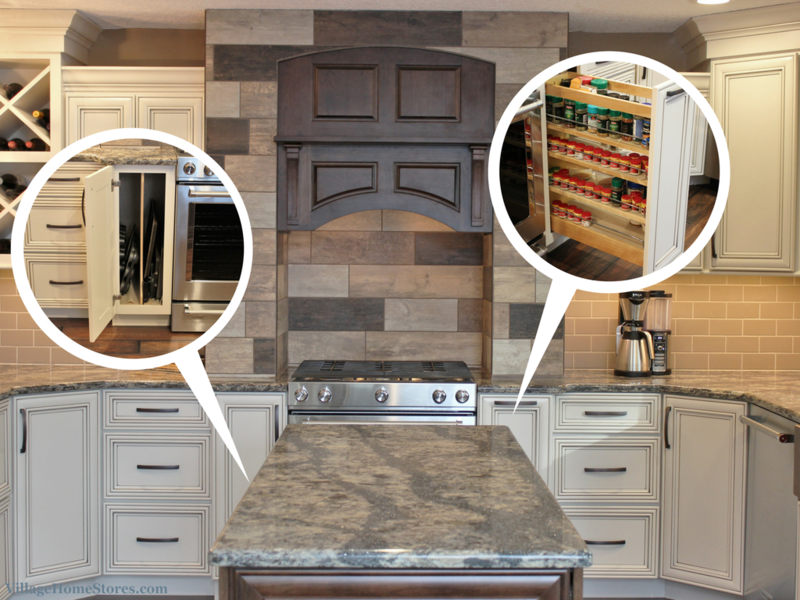 Do you love the look of this kitchen and want to keep track of anything for your own kitchen project? See all of the images from the kitchen remodel feature here over on our Houzz.com page. There you can save any of the nearly 30 images to your own ideabooks plus browse our other projects and ideas. Every single kitchen we work on is different. Isn’t that so amazing! That is why we absolutely love what we do here at Village Home Stores. We get to create beautiful spaces that are used and loved every single day. 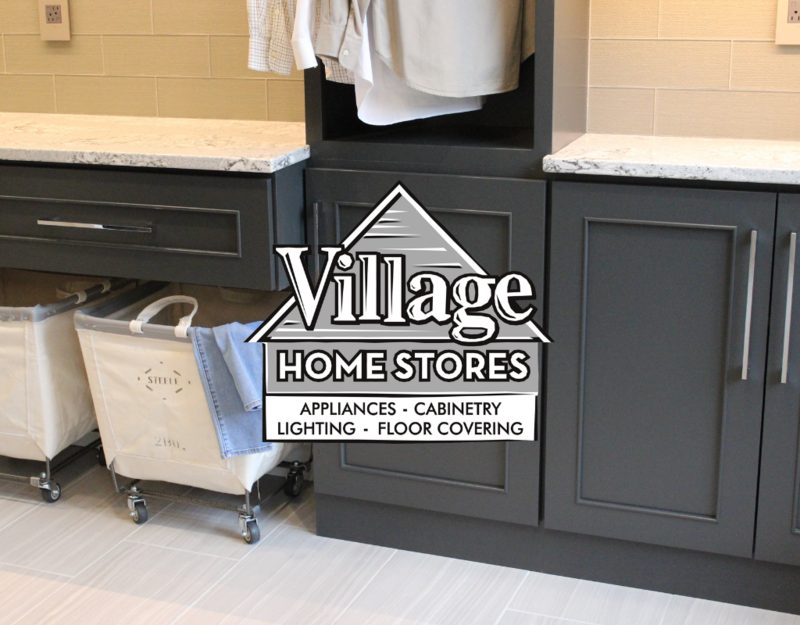 Watch a full video tour of this space by pressing play on the episode shared below of the Village Home Show. It is such a special privilege to know this Holiday season that many of our kitchens will be full of friends and family sharing and preparing meals and making lasting memories. 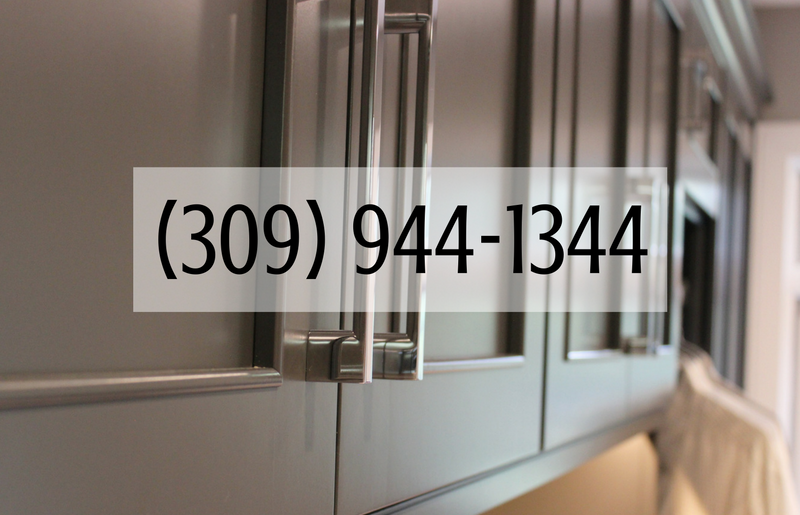 If you are ready to take the first step for your own kitchen project just give us a call at (309) 944-1344 or complete this short contact form online and one of our staff members will reach out to set up an appointment with you. If you missed any of these first 11 episodes you can watch them all online! Below you will find a complete list of episodes each with a brief description and a link to see the full story online. 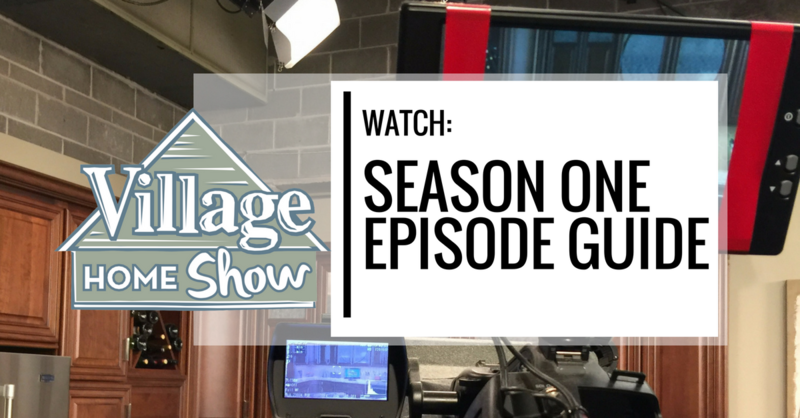 Episode 1: Our very first episode of the Village Home Show! 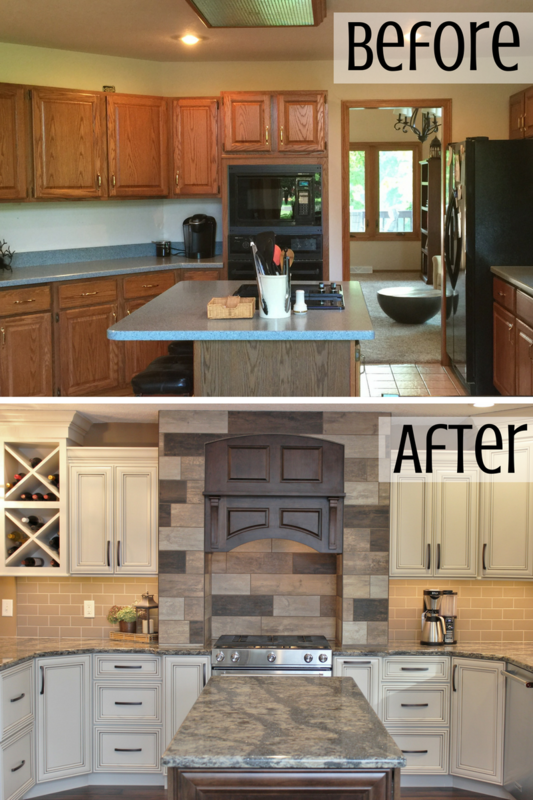 Tour two beautiful remodeled kitchens in Geneseo, IL. 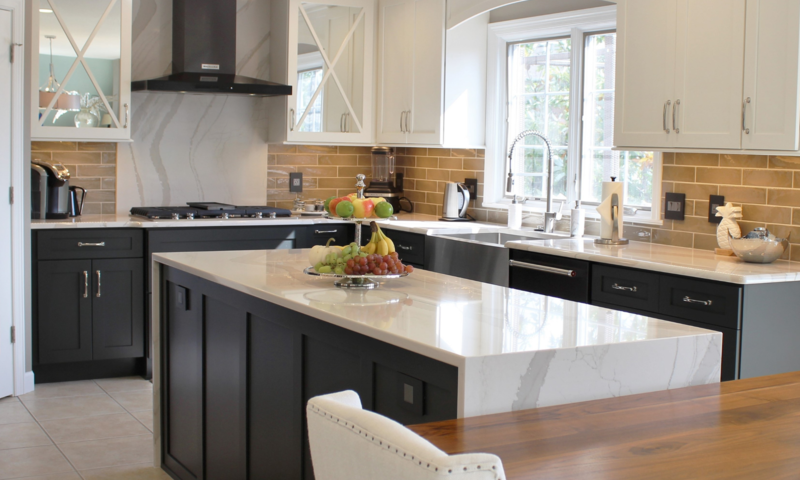 A visit from an expert on Cambria Quartz shares a lot of great information about this must-have product. Click here to watch. 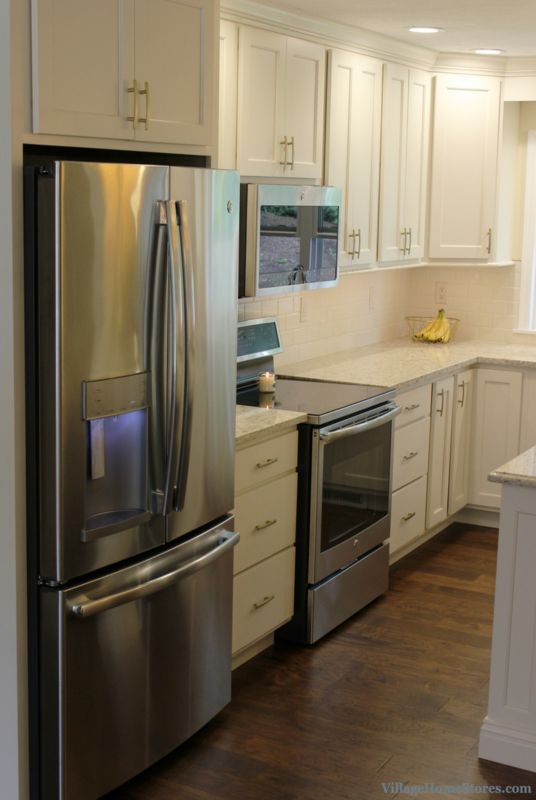 Episode 2: Tour two kitchens in Bettendorf, IA that each include some wonderful appliances features. 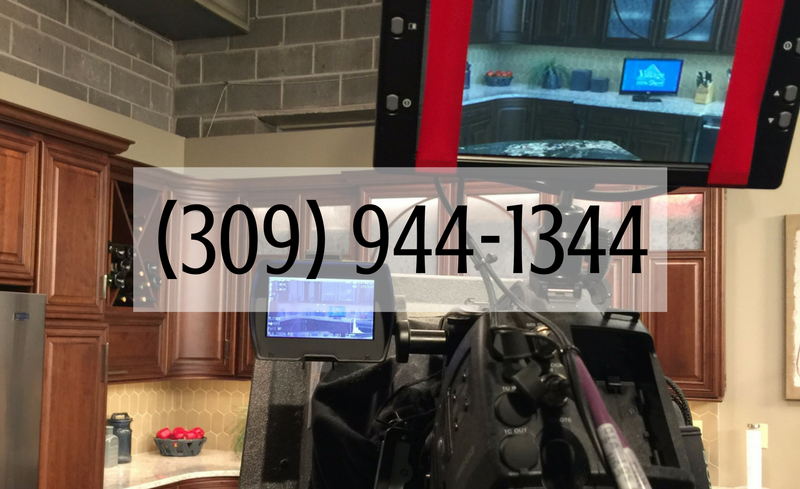 An expert from Maytag visits the studio set to share a bit about the suite of brand new Maytag appliances we installed there. You will love the hidden commander center and charging station included in one of these spaces! Click here to watch. Episode 3: A before and after story of kitchen in Rock Island and a trip to Lynn Center to see a brand new home and the kitchen inside. 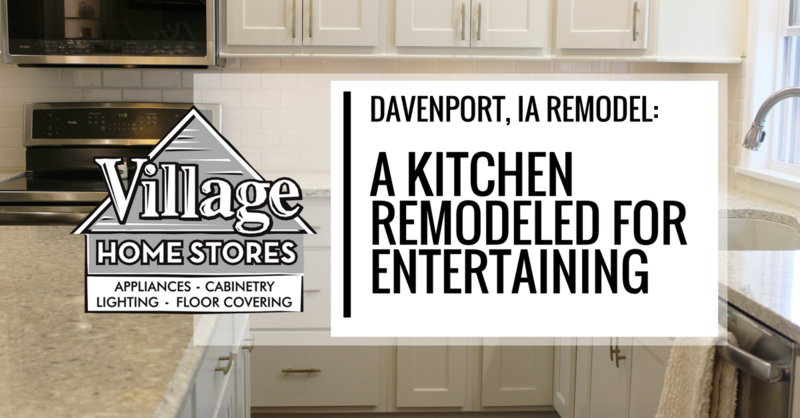 Storage cabinetry is featured and an expert from Dura Supreme stops by to take us on a tour of our set kitchen at WQAD. Click here to watch. Episode 4: Two absolutely amazing kitchens, each showcasing wonderful island designs plus see many more examples of great kitchen islands. 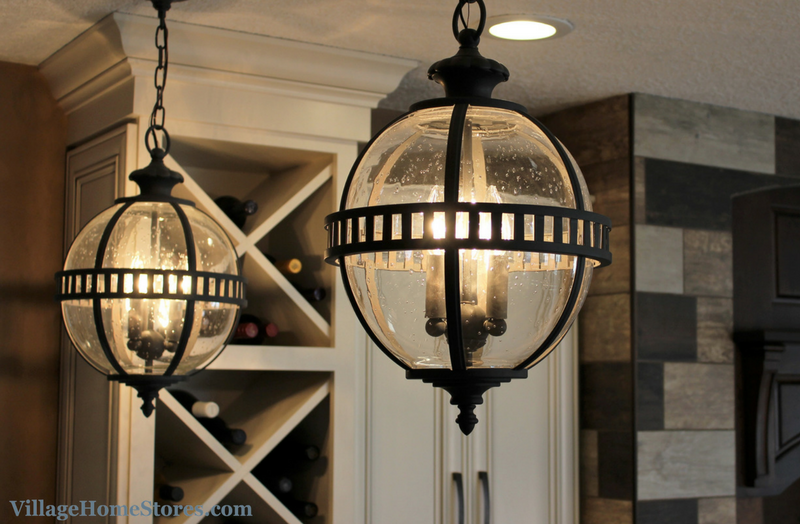 A lighting expert joins us to show us some great ways to shed some light above your kitchen island as well! Click here to watch. 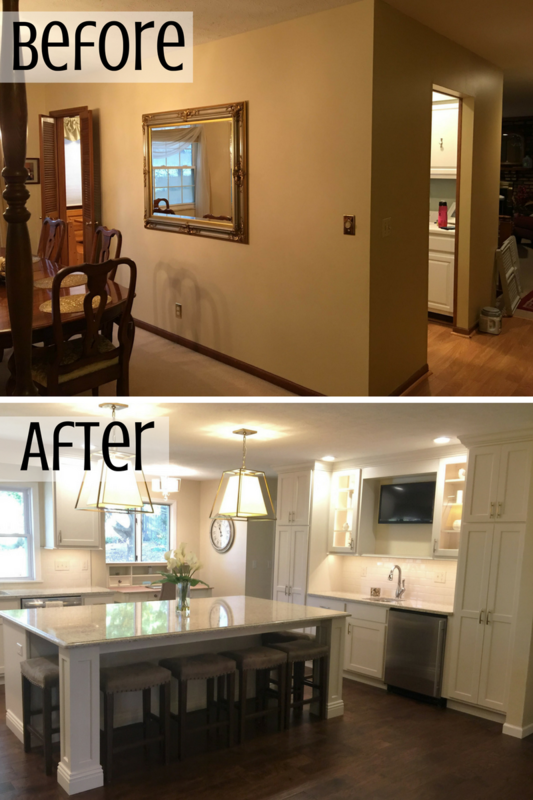 Episode 5: A wonderful before and after story of a kitchen we remodeled in Rock Island, Illinois. Plus we take a trip to Epic Stone in Davenport, IA to give you a tour of their location and all the wonderful options they have for natural stone countertops. A lighting expert stops by to teach us about the L.E.D. lighting system featured in many of our kitchens. Click here to watch. 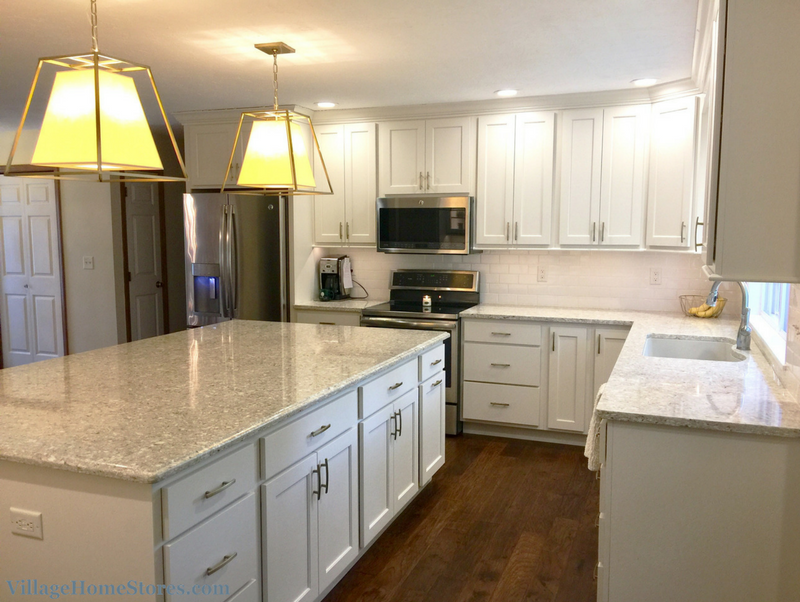 Episode 6: Kitchen remodel stories from Rock Island and Geneseo in this episode, each with tiled backsplashes and our LED undercabinet lighting system. A tile expert visits to discuss options and the latest trends in kitchen tile. Click here to watch. Episode 7: On this episode we share two remodeling stories of local bathrooms that each get a whole new look and layout. 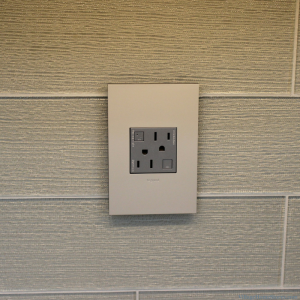 Plus see a wonderful system of light switches, controls, and outlets from our LeGrande line. Click here to watch. Episode 8: See a kitchen remodel that is SO incredible that we use our whole episode to show you the project from beginning to end! 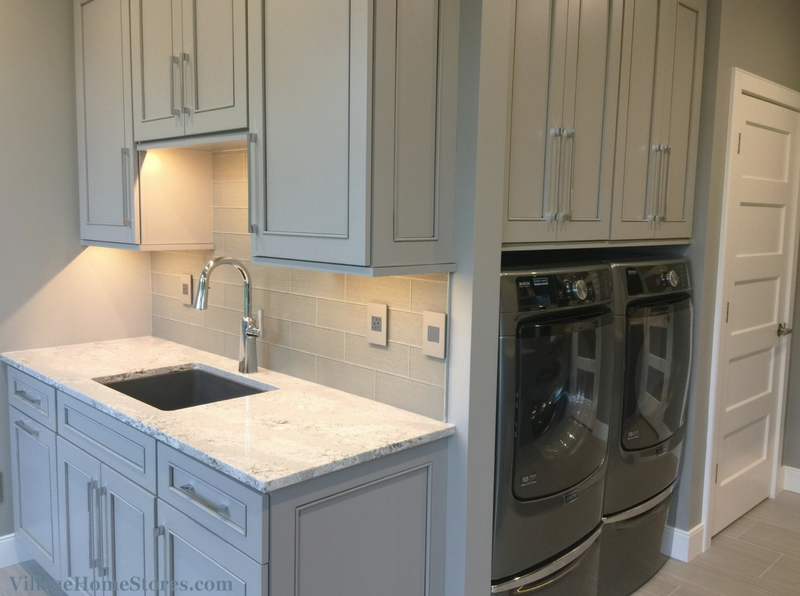 The new kitchen features gray cabinetry from Dura Supreme, Cambria Quartz Countertops, and a stainless steel appliance package from KitchenAid. Plus and lighting and tile that will knock your socks off (which is fine because the new hardwood floors in the home are bare-feet friendly). All this plus a visit to the kitchen from two Dura Supreme experts. Click here to watch. Episode 9: A fantastic example of what “New Traditional” style looks like. Walls are removed to open up and make room for a beautiful new kitchen and a bathroom is reworked to include laundry in this Taylor Ridge home. 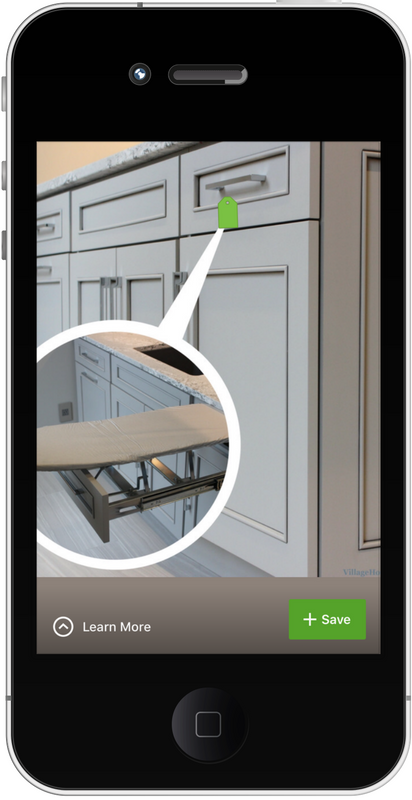 Plus learn about new features in front-load laundry. Click here to watch. Episode 10: We have a visit from a kitchen expert to discuss the different types of countertop materials to fit your lifestyle and taste. 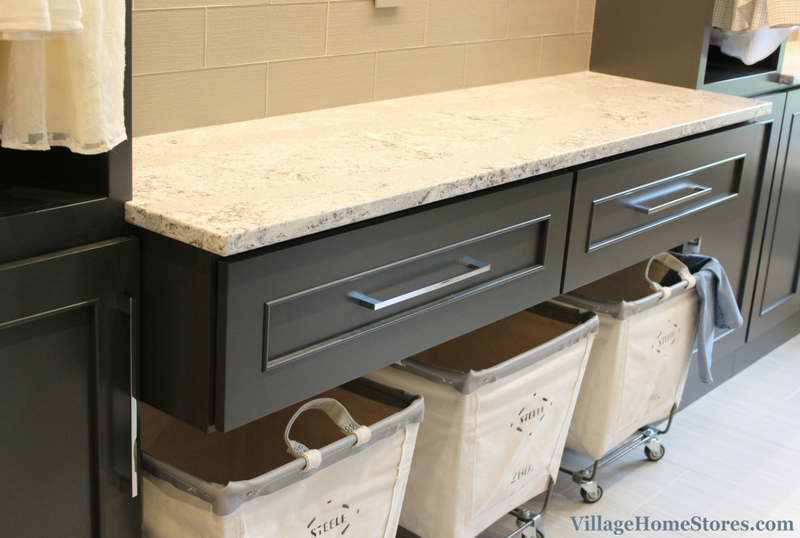 Then take a tour to one of our stone fabrication shops to see the customization process. Then watch a before and after kitchen story that includes Formica’s 180FX series with the look of a true marble counter look at a fraction of the cost. Click here to watch. Episode 11: Two beautifully remodeled kitchens each featuring wonderful storage solutions and fantastic kitchen countertop selections. 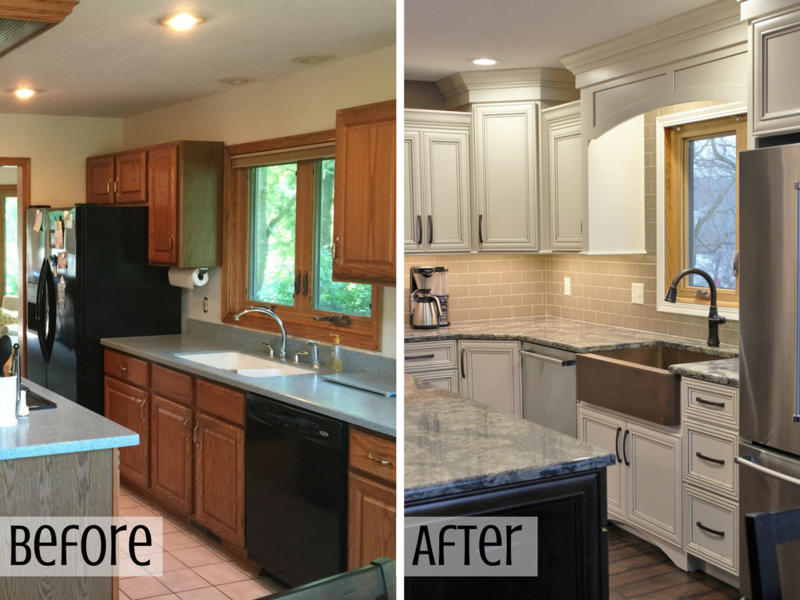 Tour a Geneseo kitchen remodeled to accommodate entertaining grandchildren and guests plus a Bettendorf kitchen full of angles. Click here to watch. Thank you again and again for watching and of course to all of our amazing customers who participated in this first season. We can’t wait to share new episodes with you Sundays at 9am on WQAD News 8 beginning October 2,2016. If you have any questions about something you have seen in one of these episodes do reach out and we will be happy to chat. 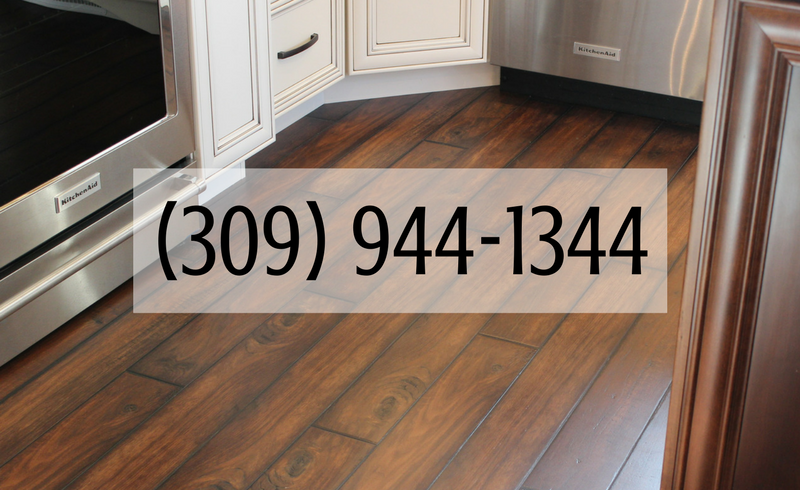 Call us at (309) 944-1344 or fill out our contact form here at this link.